Mohegan Sun Arena in Uncasville, Conn.
Once upon a time, Tim Sylvia was the UFC’s heavyweight champion. Now, he’s returning to action at Reality Fighting’s 53rd offering as a stumbling fighter who has not won in his last four outings. 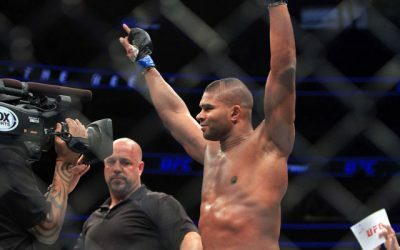 He is nearly seven years removed from his most recent UFC fight, and he’s more than 14 months removed from his last fight. His headlining excursion for Reality Fighting comes against Juliano Coutinho, a dangerous but unheralded Brazilian fighting out of Massachusetts. 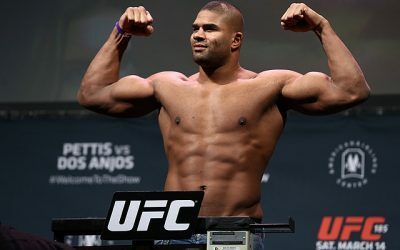 Sylvia, whose pro career began in 2001, enjoyed two reigns in the UFC’s heavyweight division and mounted two unsuccessful challenges for the UFC interim title. He left the UFC in 2008 for a chance to face Fedor Emelianenko under the Affliction banner. Emelianenko mauled Sylvia en route to a 36-second submission victory. It was downhill from there for the big man, who suffered an embarrassing loss to Ray Mercer in his next outing. 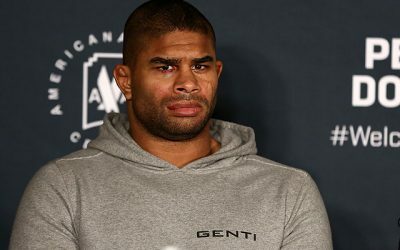 Sylvia did win seven of his next eight in a bid to get back to the UFC, but the promotion showed no interest in the former champ. Then, Sylvia faced Andrei Arlovski under the ONE FC banner. He would have suffered a loss, but the bout was ruled a no-contest due to illegal soccer kicks. 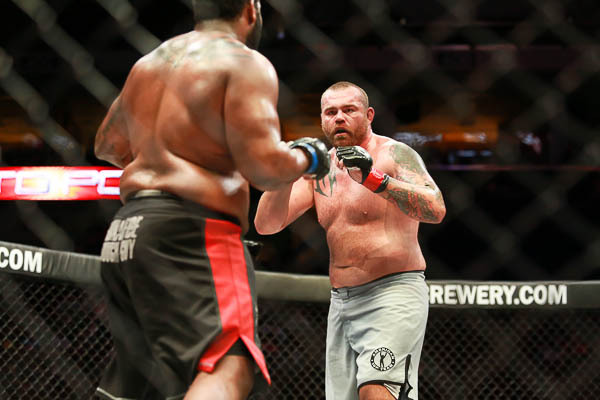 He dropped his next three fights, which came against Satoshi Ishii, Tony Johnson and Ruslan Magomedov. Coutinho is a Brazilian Jiu-Jitsu black belt under Daniel Gracie. He’s worked on his striking at Sityodtong Boston and CCFA and has three TKO wins on his pro record as a result. The 2008 no-gi Pan-American Jiu-Jitsu champ has two submission wins. He started his pro career in 2009 with a TKO loss. 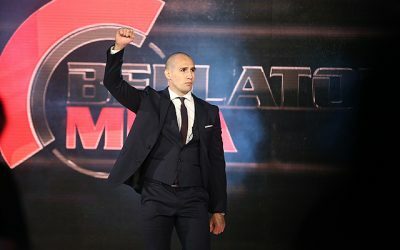 “Banana” has won every one of his subsequent fights, beginning with his sophomore outing in 2012 and including victories over UFC veteran Josh Hendricks and Bellator vet John Orr. It’s been years since Sylvia has been effective against anyone significant. He’s still capable of scoring the TKO, though, and Coutinho might struggle to overcome Sylvia’s long range and six-inch height advantage. Coutinho tends to stay on the outside and chop away at opponents with leg kicks before shooting in for the takedown. He is effective and persistent in his takedown attempts, and his top game on the mat is suffocating. If he can get Sylvia to the mat, he’ll dominate from the top with ground-and-pound and submission attempts. Sylvia would have been a no-brainer pick in this pairing if we were talking about the Sylvia of a decade ago. The modern-day Sylvia, however, is a different story. Though he can’t be ruled out, Sylvia will likely continue to struggle in his attempted career comeback. Coutinho might not find the finish, but he should outpoint the former UFC champ en route to a decision nod. Carl Dieckmann opened up 2014 with a championship win over Rudy Cutnose to claim the Fight King featherweight title. Now, one year later, he’s set to defend his crown at Fight King’s latest event, dubbed “New Era.” Dieckmann’s title defense comes against Ray Davis, a veteran of the Utah fight scene. Dieckmann’s title win over Cutnose moved his current winning streak to three fights. The 24-year-old started his pro career in 2011 and amassed an undefeated record through five fights before suffering his first loss. He rebounded with three more wins before suffering his second, and most recent, loss to Michael Arrant. Dieckmann has seven victories by way of submission and three wins by some form of knockout. Davis hasn’t fared as well in his 19-fight career. 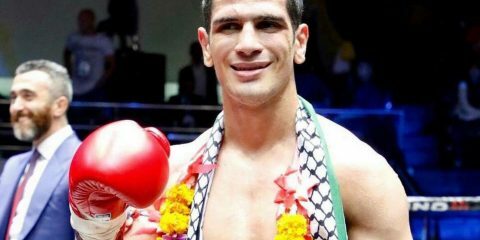 The 25-year-old made his pro debut in 2007 and lost two of his first three fights. He compiled the longest winning streak of his career over his next three fights but has struggled to find any consistency since then. He’s now on a two-fight skid. He has seven submission wins and two victories by some form of knockout. The inconsistency displayed by Davis, not to mention his current two-fight skid, makes him an odd choice as a title challenger. Dieckmann has eaten up opponents at this level for some time now, and his only losses have come to opponents with respectable records well over the .500 mark. Davis’s losses have been equally distributed between submissions and knockouts. With Dieckmann’s abilities on the mat, this one is likely to end in a submission finish for the champ. 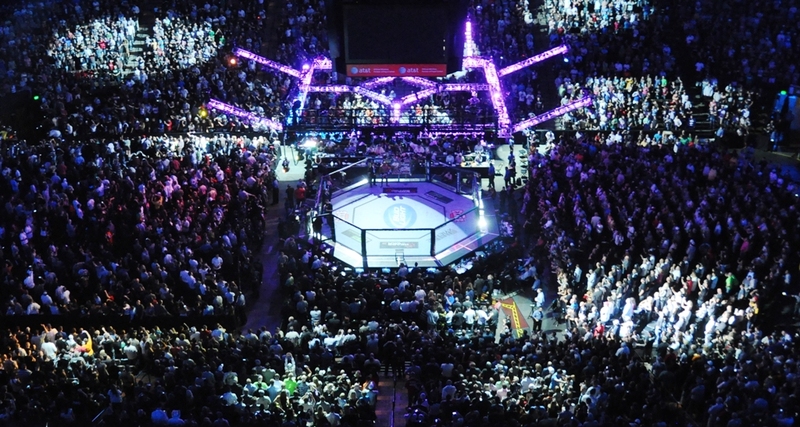 Striker Fighting Championship is opening the 2015 with its 17th event. 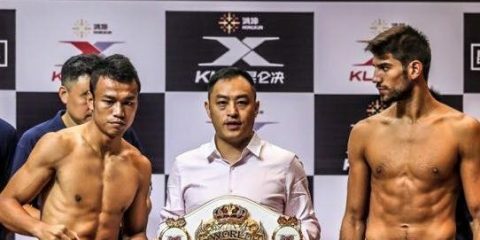 It’s an odd Monday event, and it pairs two of the promotion’s best fighters for a featherweight title showdown. Undefeated Gilbert Ordonez meets Alejandro Abomohor for the belt in one of the evening’s featured bouts. Ordonez made his pro debut in 2013 and has quickly established himself as a prospect with four victories. The Fight House product has three finishes by way of strikes, but he has also demonstrated his ability to control the fight on the ground. His opponents currently hold a combined 3-7 mark. Ordonez has fought as a lightweight in the past. Abomohor’s career also launched in 2013. 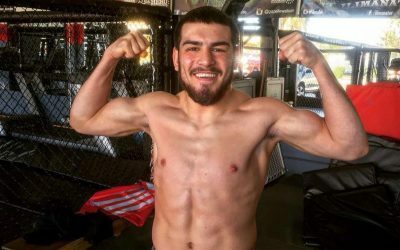 After a win in his pro debut, “The Pitbull” suffered a setback in his sophomore outing. He bounced back from the submission loss to reel off four straight wins. 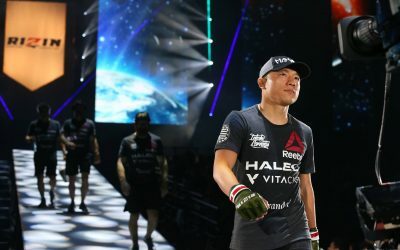 He’s coming off an extremely impressive 27-second knockout of Luan Gazetta under the XFC International banner that advanced him to the semifinal round of the promotion’s bantamweight tournament. 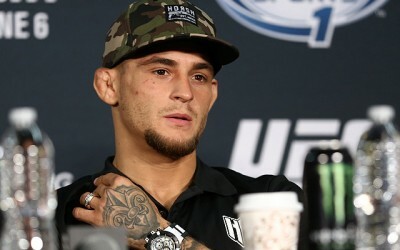 However, his best weapon is his submission game, which has accounted for three of his stoppage wins. His victories have come against a group of fighters who now hold a combined 4-8 record (all four of the wins come credit of Gazetta). This is a featherweight title fight between a lightweight moving down and a bantamweight moving up. That type of match-up would tend to favor the bigger fighter. Ordonez should have the advantage on the feet in terms of power, but Abomohor has a big right hand and a ton of aggressiveness standing. It could get him into trouble, but it will also allow Abomohor to close the distance and pull guard. Abomohor doesn’t hesitate to give up position, but that’s because many of his best submission attacks come from the bottom. He’s quick to snag an arm or attack an opponent’s legs. If Abomohor can get the fight to the mat, he has a good chance to finish the fight. If Ordonez keeps it standing, it’ll give him the advantage. 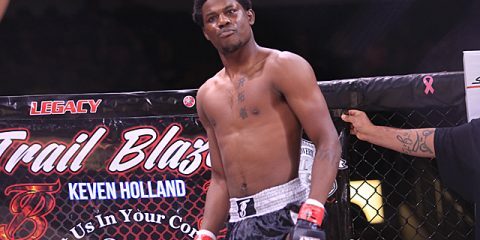 Despite Ordonez’s strong control from the top and an unblemished record through four fights, Abomohor’s overall aggressiveness and his quick transitions to submission holds make him a dangerous opponent. The smaller fighter will struggle on the feet, but he’ll take advantage of the situation once this contest heads to the ground. 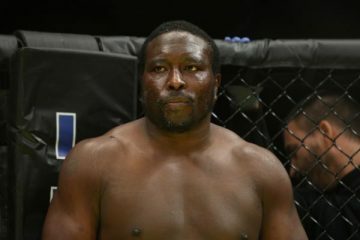 Look for Abomohor to score the submission win.